An announcement will be posted on your Canvas course site, as soon as materials are available to purchase. Required course materials, in digital format, are integrated in Canvas course sites. Please select the StudyNet navigation link after you have logged in to your Canvas course site to purchase/access the material. You may also purchase a printed version called a TEXTPAK™, using the same StudyNet navigation link. Always check each course Canvas site to see if you need to purchase with a credit card or already have access to the course materials (some are available at no cost or paid via a course fee). Course Fee: The cost of all digital materials is added to students’ tuition as a “course fee.” If the course fee is applied, students receive access to the material within Canvas course sites, from the instructor, or through the publisher. They may begin using the materials right away by clicking the StudyNet navigation link in the Canvas course site. TEXTPAKs may be purchased with a credit card; their price is not included in the course fee. Student-Pay: All digital materials and TEXTPAKs must be purchased with a credit card. To make their purchase, students must click the StudyNet navigation link in the Canvas course site and follow directions on Study.Net’s e-commerce site. Course materials prices will vary depending on the copyright fees for cases/readings and costs for any special participatory materials used (such as simulations, online tutorials or negotiation exercises). Contact customerservice@study.net with ordering or refund questions. You are eligible for a refund on digital materials after you disenroll from, or “drop”, the associated course. Please ensure you meet the Registrar’s Drop/Add Deadlines. Course Fee: If the cost was added to your tuition, take no action. You will automatically receive a refund or credit on your tuition bill after you drop the course. 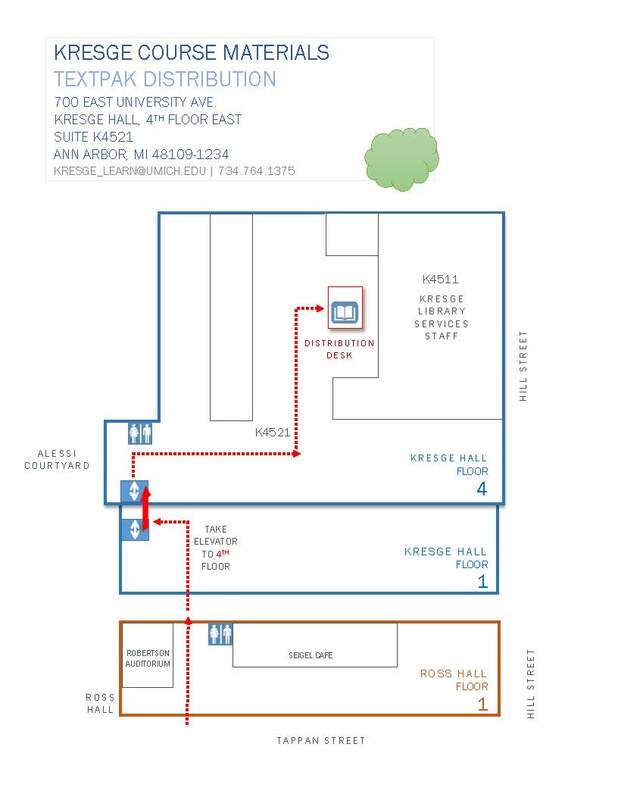 To review your tuition bill, visit the Wolverine Access Student Center > Account Inquiry > Activity. Student-Pay: If you purchased with a credit card, you may request a refund by emailing Study.Net at customerservice@study.net before our Digital Access Refund Deadline - view dates by clicking "Deadline Dates" blue button above. Study.Net will not process any refunds after that deadline. An MCard or photo ID is required to receive materials. All pick up orders will require a valid photo ID (MCard, driver's license, or passport). If you purchased a non-refundable TEXTPAK™, an email is sent within 2-4 business days after your order was placed confirming that your TEXTPAK™™ is available for pickup. TEXTPAKs include only those materials that are printable. Links, websites, or spreadsheet files are not included. If you do not receive an email within 2-4 business days of your order, contact us.